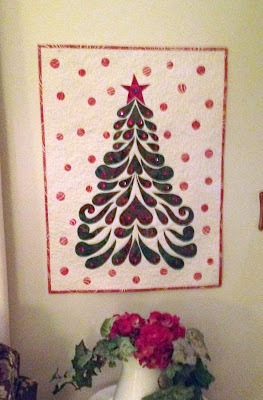 My tree wallhanging is all done now and hanging by my front door over my spool cabinet. I'm loving it. I did go ahead and glue on red rhinestones after I ran across them in the closet. So much easier than sewing on the little red pearls. 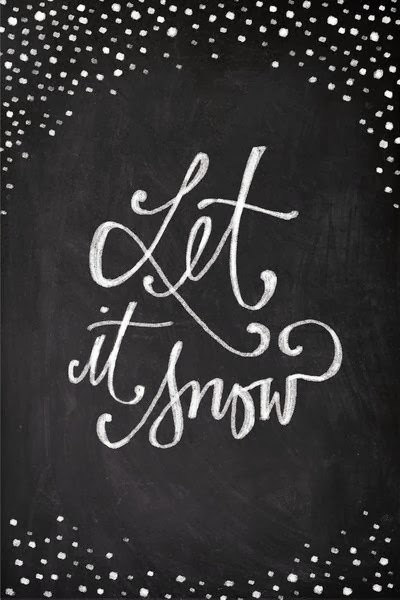 And, besides, these little gems really sparkle. 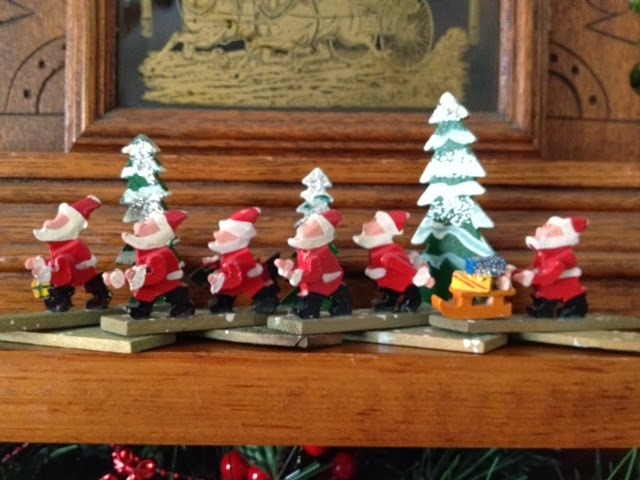 Here is one of two stockings I always hang on my mantle. They are made out of a quilt that was given to me when we were first married. 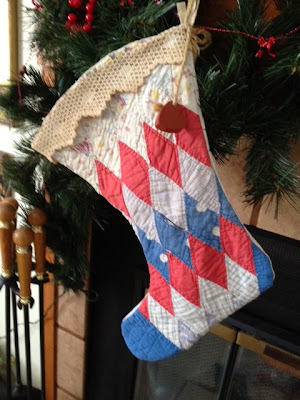 I am so ashamed to say that I used that quilt up - but I have made quite a few things from it's remnants along with the stockings. I still have the rest of it and two other old cutter quilts I bought at at auction. 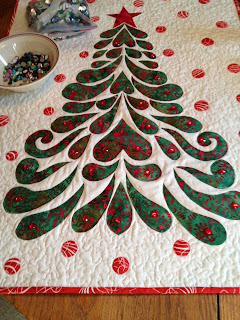 Until I started quilting, I had no idea the time and joy that went into quilting whether the quilts are masterpieces or not. This old quilt was lovely and I wish I had been aware of what had gone into it's making. Some of it will live on, though. This little piece I found in Ray's mother's things. I think it is so sweet. As you can see in the top picture, it is folded and in the bottom it is stretched out to it's full length. 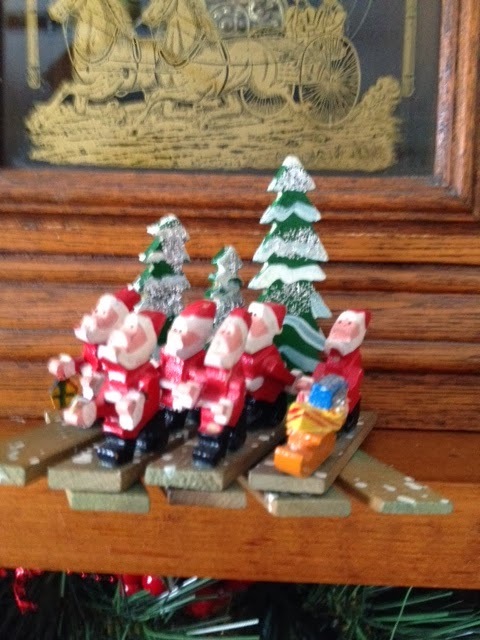 Such a whimsical little wooden piece, the paint is shiny and there are silvery sparkles on the trees. A very sweet piece. 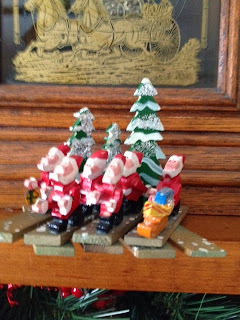 This is not much - kind of a Carol arrangement. 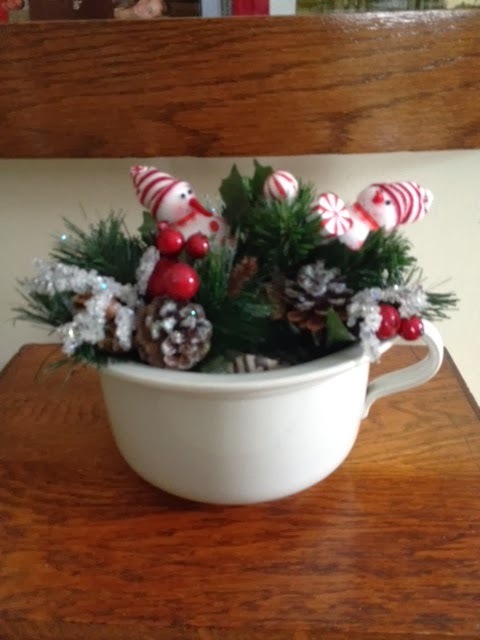 I have a chamber pot collection, and this is one of my plain little potties that I have just stuffed some greens in and added miscellaneous Christmasy pieces in a very unplanned, quick to do way that I seem to do a lot. Doesn't look too bad for what it is. Thursday, about 12 of us went to Frankenmuth - a little German town about 40 minutes or so from here, and had a great chicken dinner at one of the very popular restaurants there. A fun day with some very fun ladies. Then a group of us drove to Fenton (not even sure where that is but it was about 40 minutes from Frankenmuth) and went to the Quilt Garden, a very, very nice quilt shop in that town. There was a huge wall of batiks that was gorgeous! Lots of other lovely lines of fabric and really nice samples to make you want to buy patterns and fabric and take it home with you. There were tons of jelly rolls, charm squares, kits, etc. And a section of gorgeous wool. That is something I could go overboard on. All in all it was a lovely day with my quilting friends. They're a good group. All charming decorations! And the sparkles do to the quilt. Very nice. Left out a word there. Proof read! The sparkles do ADD to the quilt.